Warm weather is here again, and people all over the UK are thinking of buying a new home and garden furniture. Light, durable and fashionable rattan furniture is a natural choice, but do you know everything you need to select the right rattan furniture for your needs? We’ve created this handy guide so you can make up your mind. Rattan has a long history both as an indoor and outdoor furniture material. But what is rattan, and what is rattan furniture material made of? Rattan refers to more than 600 different species of climbing pants which have traditionally been used to make furniture, baskets, shelters and other structures. It is derived from the Malay word ‘rotan’. The same material is also called ‘manila’ or ‘malacca’ elsewhere in the world, after the shipping ports, it passed through before being sold. What is rattan furniture made of? • Rattan is made from climbing plants which were traditionally used to create a variety of furniture including baskets and shelters. • It’s durable and sturdy material means it perfect to be weaved and bind together. • The technique of binding the furniture is the ‘wicker’ which is where the term ‘rattan wicker’ comes from which is the technique of binding rattan plants together to form a piece of furniture or structure. • Though not technically a ‘wood’, rattan does accept paints and stains well and treated just like a block of wood in many ways. Where is rattan furniture made? Today, rattan furniture is made all over the world. However, South East Asia still produces a large proportion of the rattan wicker furniture that the world consumes, as that is the natural environment of almost all of the most effective varieties of rattan plants. Even when rattan furniture is manufactured elsewhere, it’s more than likely that the rattan itself was grown in and exported from South East Asia originally. Rattan wicker furniture first became popular in the west around the Victorian era and has never gone out of style. People like rattan furniture because it has a natural, organic look and feel, and because it has the durability needed for outdoor furniture coupled with the comfort needed for indoor pieces. Can you use rattan furniture outside? • Its lightweight and its lower expense compared to other, similarly sustainable options. • But it is both sturdy and inexpensive, and it is perfect for taxing environments like the garden, or in heavy-use areas like play rooms. • Rattan furniture is especially well suited to outdoor use. • Unlike other natural materials (such as wood), rattan requires no oils, preservatives, paints or other treatments to stay healthy and attractive for years. 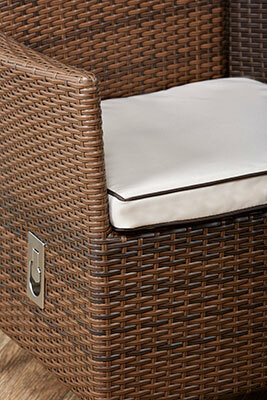 • We do recommend covering your rattan furniture with our shield covers, to guarantee protection. • If your rattan furniture ever does become dirty, simply spray off the dirt with a hose or wipe with a wet cloth and your furniture will be as good as new. • The word Rattan comes from the plant that it is made from “Rotan”, so all Rattan Furniture is made from this plant. 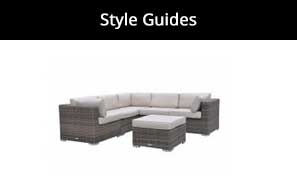 • The word “Wicker” is the technique that is used to make Rattan-style furniture. • The weaving technique is used with a variety of materials so you can get rattan that is non-wicker. And you can also get wicker that is non-rattan. As you might expect, rattan wicker is merely the technique of weaving an object or piece of furniture (wicker) out of rattan stem cores. Rattan wicker furniture, then, is any piece of furniture made of rattan wicker – or woven rattan stem cores. • Rattan wicker furniture is wicker furniture woven of rattan material. • Synthetic rattan wicker furniture’ is woven with synthetic rattan. • Natural rattan garden furniture is lightweight, durable and easy to clean. • Synthetic rattan garden furniture seeks to be ‘all that and more’. • Natural rattan outdoor furniture is still an organic material and will eventually succumb to mould and decay. 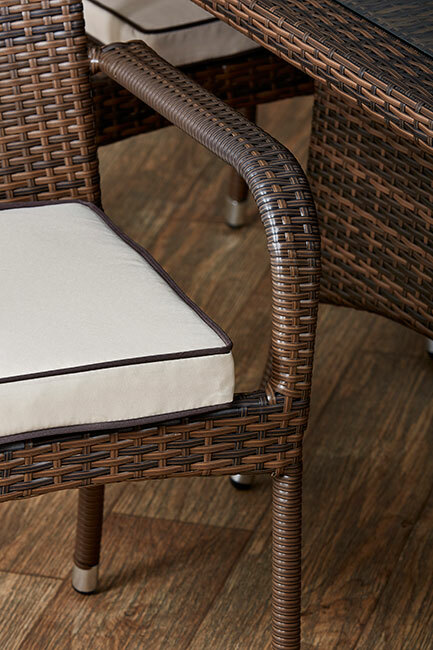 • Synthetic rattan outdoor furniture avoids this, extending its lifespan even further. 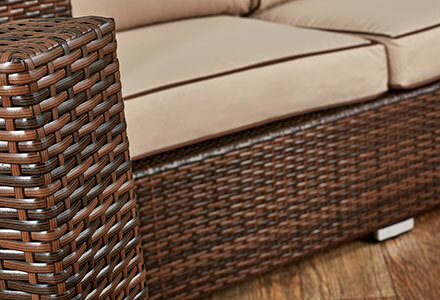 What is synthetic rattan made of? There are several types of synthetic rattan-alternative, so there are several answers to ‘what is synthetic rattan made of’. Each is best suited for different kinds of rattan furniture. What is plastic rattan made of? Plastic rattan is simply a plastic material which is woven just like natural rattan cores. It is often woven around either a wood or steel wire frame, which can negatively affect its lifespan if used as outdoor furniture. What is the rattan effect made of? ‘Rattan effect’ is just another way of saying ‘synthetic rattan’. It will typically be plastic, vinyl or some other human-made material, woven into wicker, with the intention of resembling natural rattan closely. What is PE rattan made of? PE rattan is a type of synthetic rattan made of polyethene (sometimes called PE). What is poly rattan furniture? You can’t ask ‘what style is rattan furniture?’ Rattan is material, and it can be used to make many different styles of furniture. Over the years, many different rattan furniture styles have been developed, and many of them are still popular today. Modern garden furniture (also called ‘contemporary style’) is not a single style in the classic sense, but rather a catch-all category for any rattan furniture sets currently available which do not specifically belong to any other style, such as ‘vintage’ Victorian-style rattan, or the ‘true modern’ styles developed in the 1950s and 60s. When you ask ‘what is vintage rattan furniture’, you have to make clear is you are referring to A) rattan furniture designed and built more than 20 years ago or new furniture designed in that style. Rattan is durable, but unless it had very gentle owners and spent its entire service life indoors in very dry conditions, actual vintage rattan would be of very little utility. Rattan first became popular in Europe and the UK in the Victorian era, when trade really opened up with SE Asia. As such, the styles of the time have been associated with the material ever since. Like any furniture purchase, you have to consider more than just the piece or set itself before you buy rattan furniture. You have to think about how, where and why the furniture will be used. You have to consider the space and aesthetic it will be occupying as well. 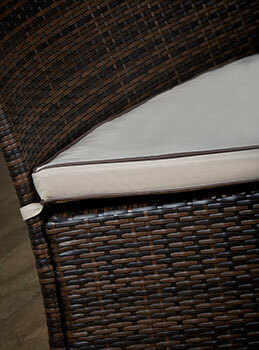 Weather resistance and easy cleaning become critical factors when buying rattan garden furniture. You might even prefer more substantial pieces to light ones, as the wind will be less likely to knock them over. 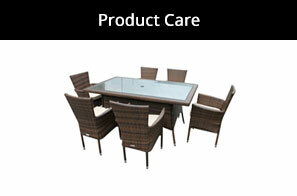 The best buy rattan garden furniture might even be synthetic if it is of high enough quality. If you are buying rattan furniture for a conservatory, then comfort and style become higher priorities. Consider light, airy, Victorian styles pieces for your conservatory to create a tranquil environment. 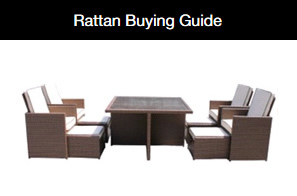 Buying high-quality rattan furniture can be tricky unless you know exactly what to look for. If you are using your wicker furniture outdoors or in a conservatory, you’ll want to make sure it is resistant to UV radiation. 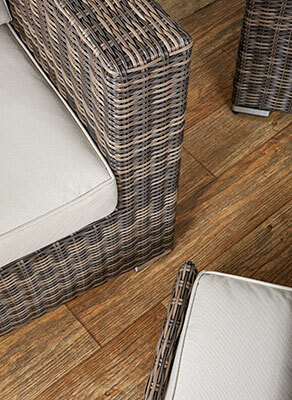 This is especially important if it is a synthetic rattan, as un-stabilised plastics break down quickly in the sun. If you choose furniture with a steel frame, make sure the steel is powder-coated to increase its weather and rust resistance. Again, this is doubly important if the furniture will be exposed to rain and damp. Consider the tightness and overall quality of the furniture’s wicker weave. If the weave is not tight and solid, you should be suspicious of the condition. This is especially important if you are have chosen natural rattan. Make sure the entire piece is a uniform shade and colour, whether it is stained, painted or has a natural finish. It is also worth making sure the finish is uniform between all the different pieces in the set. So, now you know a bit more about rattan in general, and what to look for when buying rattan furniture. Choose wisely, though, as a good set of rattan garden furniture will last you many years! P.S. 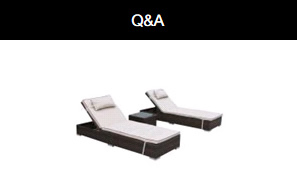 – We would love to hear how you’re enjoying your indoor or outdoor rattan furniture. 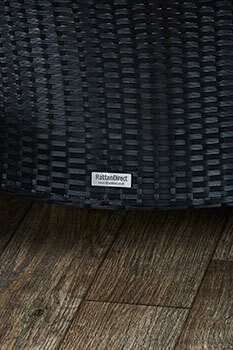 You can even send pictures of your furniture in situ to feedback@rattandirect.co.uk. You might even be featured in one of our articles!